At Ruby Flooring we supply and fit a wide range of commercial vinyl to a number of establishments throughout Scotland. This low maintenance floor type has many advantages and is very easy to clean. 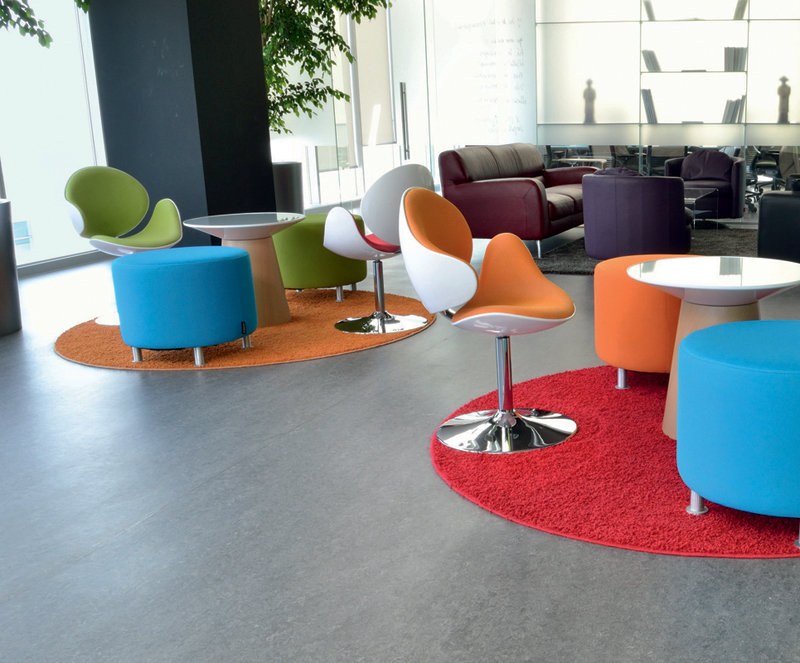 Normally used in large retail spaces, offices and public areas commercial vinyl is available in a range of soft, colourful or natural palettes. 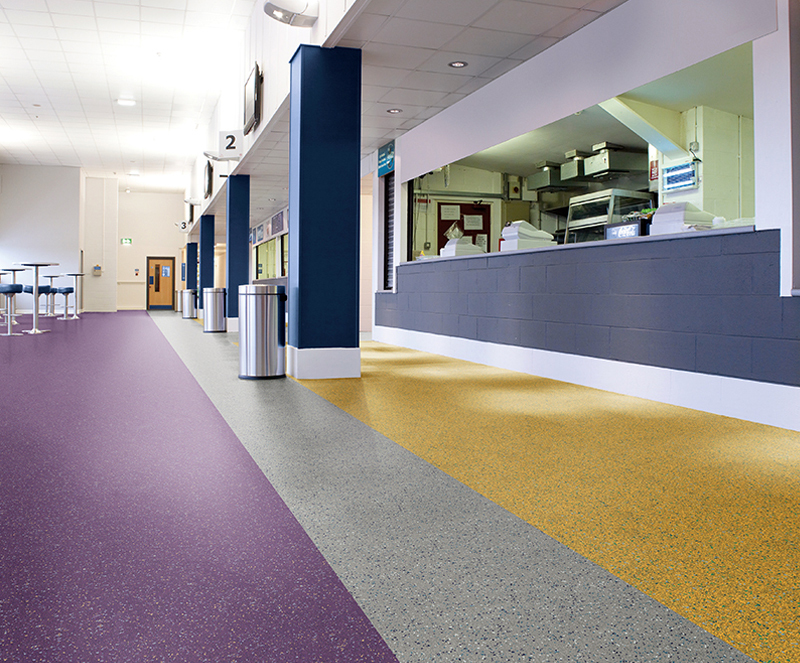 These eye catching floor coverings are also very popular in schools and medical practices. Commercial Vinyl is extremely durable and if properly maintained will be very long lasting. Ruby Flooring also offers vinyl with an acoustic backing or PVC foam backing sheet. This is fitted underneath the vinyl and is ideal if noise levels are an issue. Another benefit in choosing commercial vinyl is that all of the vinyl is made with a PUR coating which cuts costs with regards to cleaning time. Please also note that commercial vinyl is 100% recyclable and comes in a wide variety of colours and styles. Our trained staff will be sure to explain all of the above in more detail with you if this happens to be the floor type that you choose.